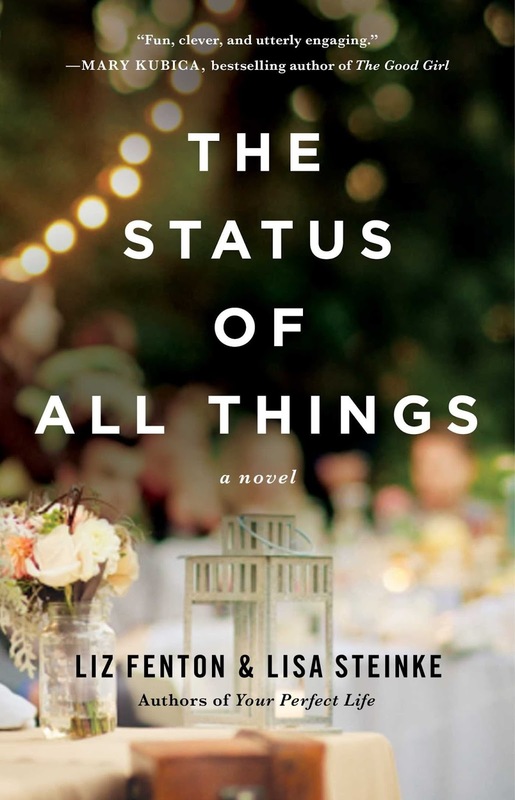 Liz Fenton and Lisa Steinke made it to my favorite books list in 2014 with Your Perfect Life. This time, they're back with another imaginative story involving a popular social media site. Kate is a 35 year-old woman who is obsessed with social media. So when her fiancé, Max, breaks things off at their rehearsal dinner—to be with Kate’s close friend and coworker, no less—she goes straight to Facebook to share it with the world. But something’s changed. Suddenly, Kate’s real life starts to mirror whatever she writes in her Facebook status. With all the power at her fingertips, and heartbroken and confused over why Max left her, Kate goes back in time to rewrite their history. Just like with Your Perfect Life, The Status of All Things involves an element of magic. I thought it was creative how Kate was able to time travel through her Facebook status updates, as well as change things in the actual moment. (She can conjure up a new hairstyle and wardrobe right away!) The story speaks volumes about what we share about our lives on Facebook, showing how not everything is what it seems. Liz and Lisa even had a #reallife "campaign" on Facebook this past spring, asking readers to show their true selves and write about what is really happening in their lives...the good, the bad, and the ugly. 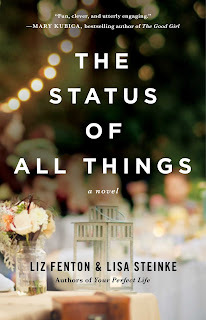 While some parts seemed a tad predictable, Liz and Lisa were still able to keep me guessing up to the very end. I still marvel over how two individuals can share one brain the way they do! I included this whimsical and refreshing novel in my list of favorite time travel books over at Julieverse. It was an easygoing story that I could have read in one sitting if I had the time. I could see myself being friends with Kate if forces of magic could take her out of the book and put her in my neighborhood (or even in the Facebook world). Of course, I just had to cast this as a movie. It would be a great chick flick, along the lines of 13 Going on 30. This book sounds like something I would like. Stopping by from Carole's Books You Loved August Edition. I am in the list as #30 through #32.